Hemel Hempstead Town’s on-loan defender Dominic Hyam has been called up to the Scotland U21 squad to face Hungary in a friendly in Budapest. Hyam, on loan from Championship side Reading, has impressed at the back for the Tudors recently with a number of man of the match performances. 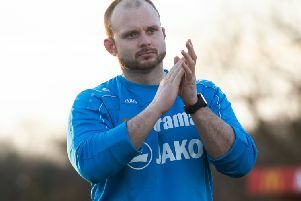 The Scotland fixture takes place on Thursday, March 26, meaning Hyam will miss Hemel’s rearranged Conference South fixture against Chelmsford City on March 24.